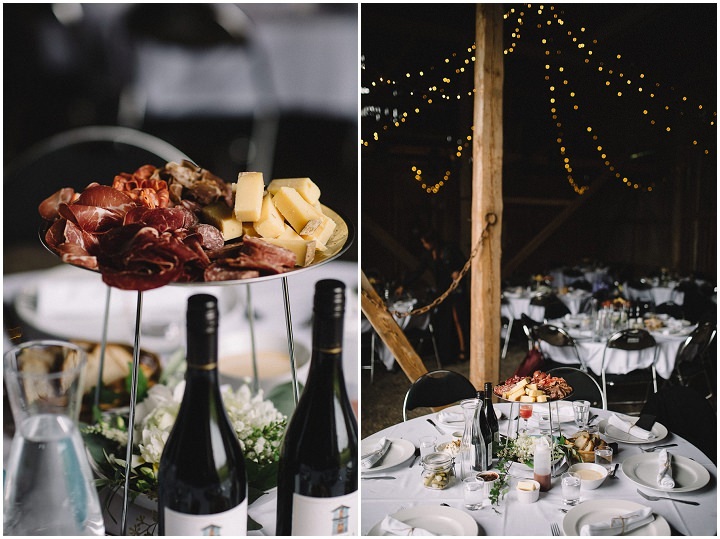 Today we are heading across to Sweden for this wonderful wedding at the bride’s family home. Their wedding is totally them, Pia’s gown shows off her beautiful tattoos to perfection and the dress code of all black is perfect for their love of rock music. A stunning, laid back day that I’m sure you will love. 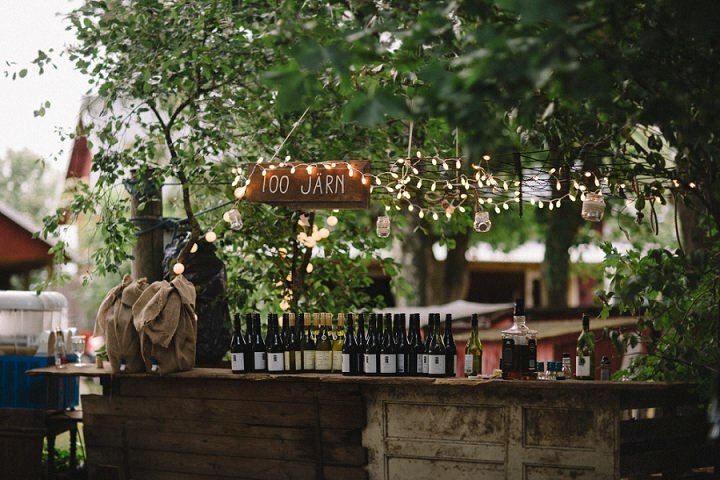 Pia and Jonas put together an enormous DIY wedding for 180 guests with an evident rock theme. All tables where named after rock groups and after the outdoor ceremony a loud KISS song started and confetti and bombs went off. Pia was dressed in a handmade dress from one piece of cloth and walked barefoot the whole day. 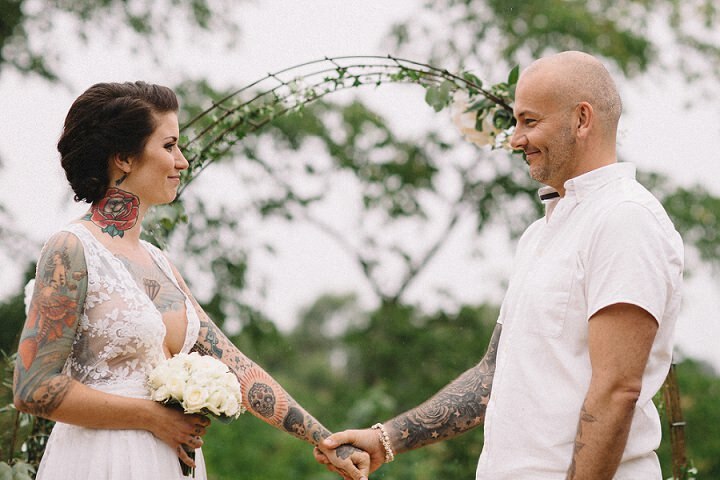 I totally adore her plunging neckline wedding gown with a tied lace back that showed off her tattoos in the best way possible. Her hairstyle was an updo, and the makeup was rather natural, the bridal bouquet was all-white for a neutral look. 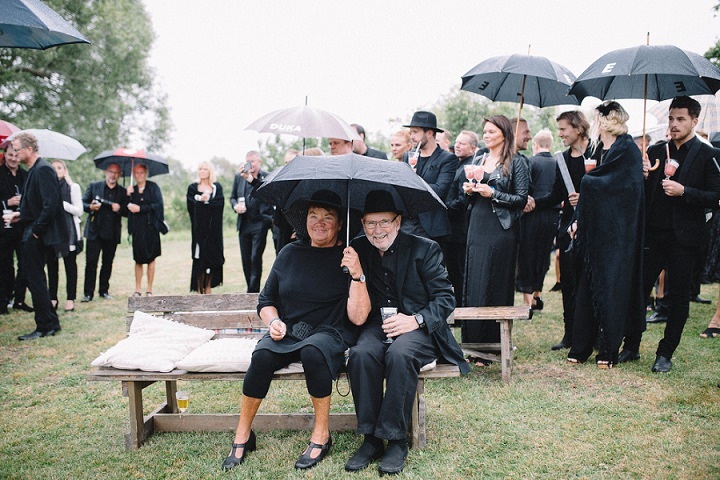 The dress code for the day was all black for guests and all white for the couple. 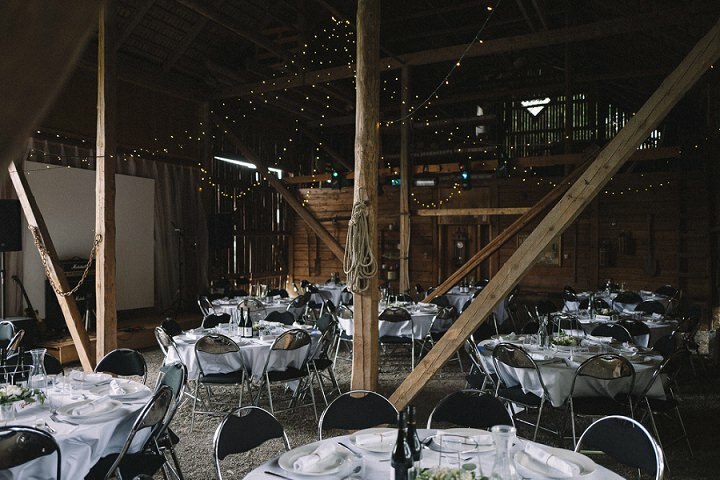 the reception took place in a barn decorated with lights and just some greenery and flowers. 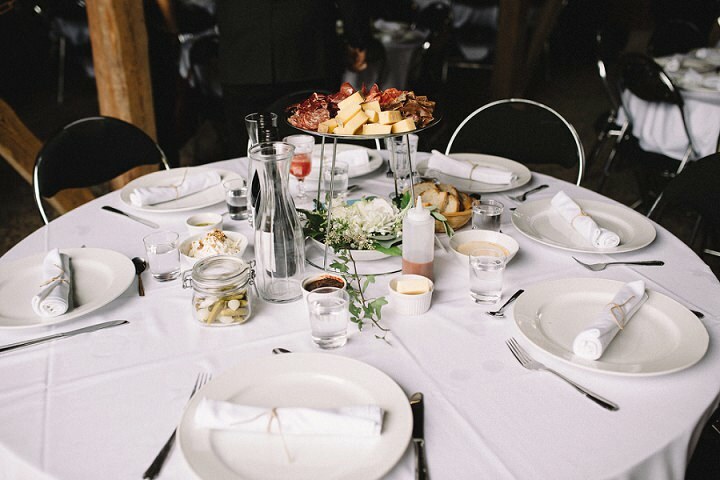 I love the table décor: simple and stylish white table setting, with a small flower centerpiece, with white napkins and plates, ust a couple of candles – like in the best restaurants of the world. As Jonas is a famous Swedish chef all food was prepared by him and even the bar and drinks were made especially for this night. 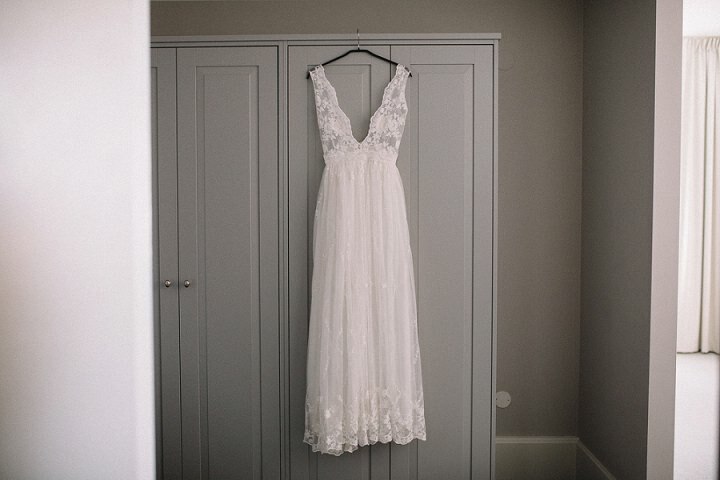 If you need to show off your tattoos at your wedding, this is a great source of inspiration! Catch more ideas below!